Infant Five is a part of the growing network of services provided by Sunshine Global Marketing, LLC. It is our desire to provide parents with the best information and reviews available to help them easily and comfortably make an informed purchasing decision about the best infant car seat and other related products for the safety and special needs of the babies in their life. 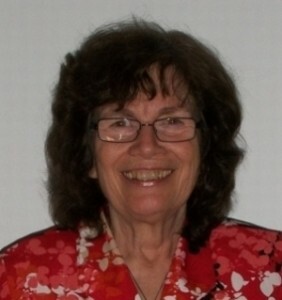 Hi, I’m Barbara Dowling, Executive Manager of Sunshine Global Marketing, LLC and Grandmother! Infant Five came about as I thought about my two wonderful granddaughters and how concerned I was for their safety. I felt compelled to start a website that parents (grandparents, aunts & uncles too!) could feel good about, knowing it was created by someone who is a mother and grandmother and cares for her customers’ children as her own. We realize there are so many choices when it comes to car seats and it is our goal at Infant Five to answer your questions and concerns regarding the choices you ultimately make, by providing reviews and information for all the major brands of car seats, for infants through age 5. (The government has created laws for the protection of our precious cargo…alas the name Infant Five!) Once you have made your choice, we make it easy for you to purchase… with links directly to Amazon, one of the most trusted names in online shopping today! We sincerely appreciate when you purchase through our affiliate links, as that is how we are paid. We hope you will visit Infant Five often as your babies grow and we truly appreciate and thank you for referring your family and friends. We also hope you will feel free to contact us with any questions, suggestions or comments you might have. Simply use the Contact Us form on the site. Most of all, we pray for God’s blessings for you and especially for all the babies, toddlers and children in your life!